PH/5 POUL HENNINGSEN 4-Shade CLASSIC MODERN Suspension Light, White/Violet/Orange - One of our favorite lamps for the living room, bedroom or office is the PH5 Lamp by Poul Henningsen. 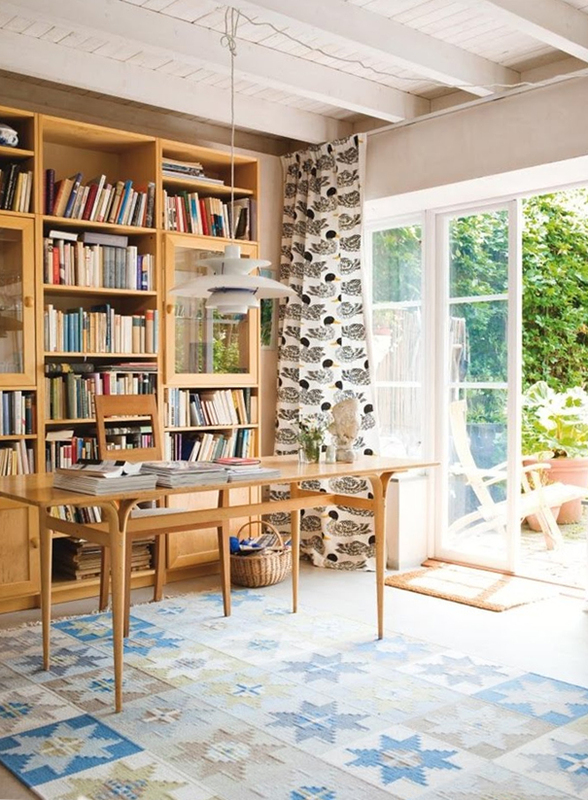 This classic pendant light fixture is shown here in a beautiful Scandinavian interior where it is used as an illuminate a home office. The PH5 lamp is a classic icon of mid century modern Scandinavian design. Always stylish, effortlessly elegant and uniquely beautiful, the PH5 lamp is a modern classic that evokes a world of luxury and sophistication. To be treasured forever. The PH5 lamp is one of the most popular lamps ever made. Nearly 50% of Danish homes are equipped with at least one PH5 lamp.